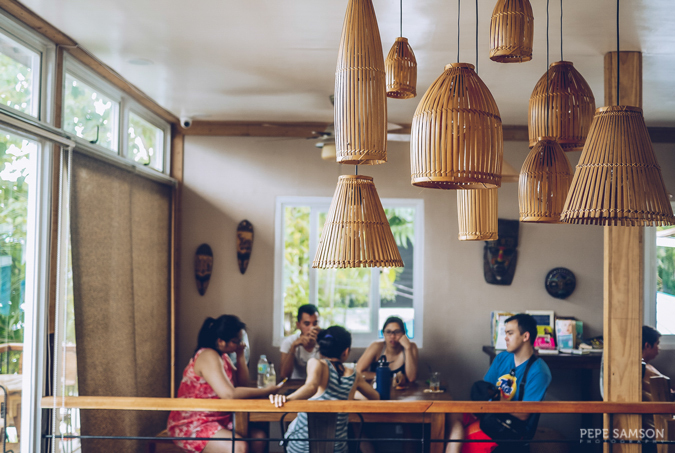 Traveling can be such an inspiring undertaking—for Stephen Zarate of The Coffee Library, it’s what inspired him to put up a restaurant together with his brother and cousin. 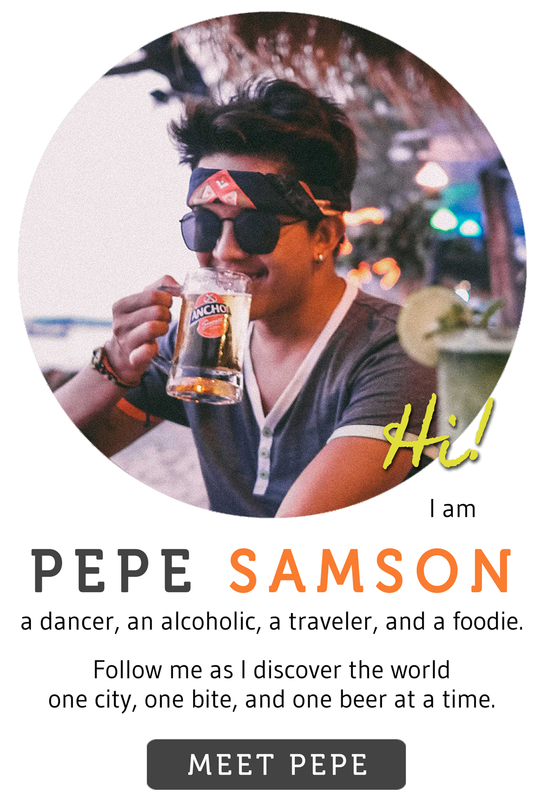 Having fallen in love with Vietnam, he explored the corners of this vibrant country in search of the best pho; tasted different banh mi sandwiches from the streets; and immersed himself with Vietnam’s rich coffee culture. He tried what Vietnam has to offer and even learned how to make Vietnamese dishes himself—and then brought home not only fond memories but also a business venture, a passion shared with family. 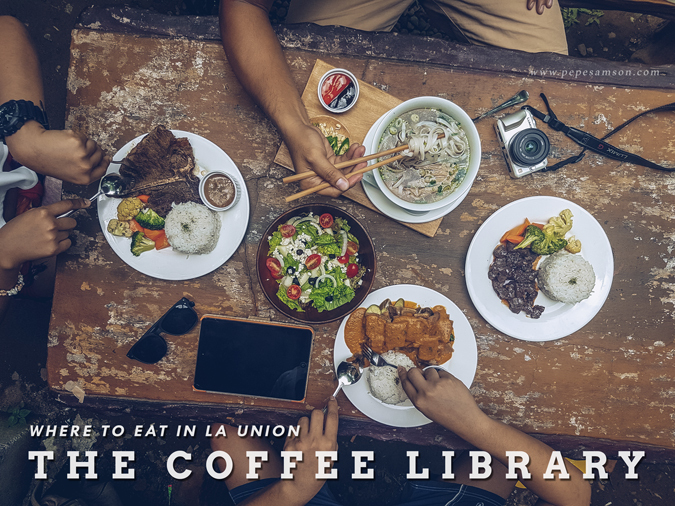 Now with two branches, The Coffee Library offers visitors of Baguio and La Union a taste of Vietnam with a special menu section dedicated for this delicious Southeast Asian cuisine. 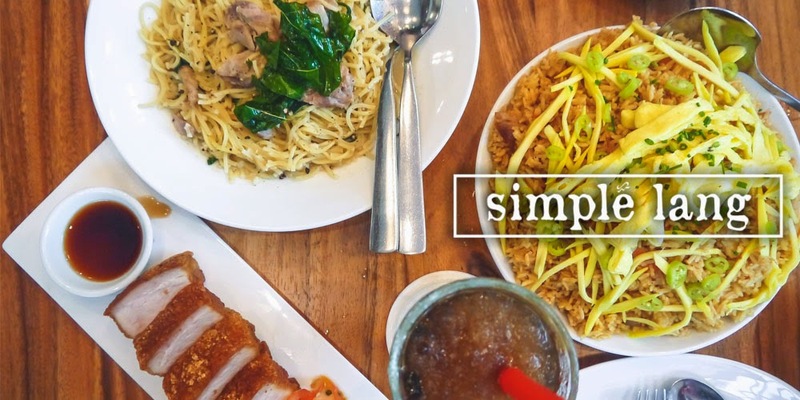 And while the restaurant mainly offers, I would say, comfort food—composed of Filipino and Western specialties, and a whole lot of coffee-based drinks—it’s obvious that Vietnamese is the star here. We recently visited its new La Union branch in San Juan during a quickie weekend trip to the famous surf town. 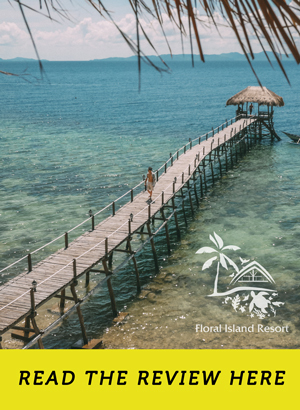 Who cares if the sea breeze is warm? 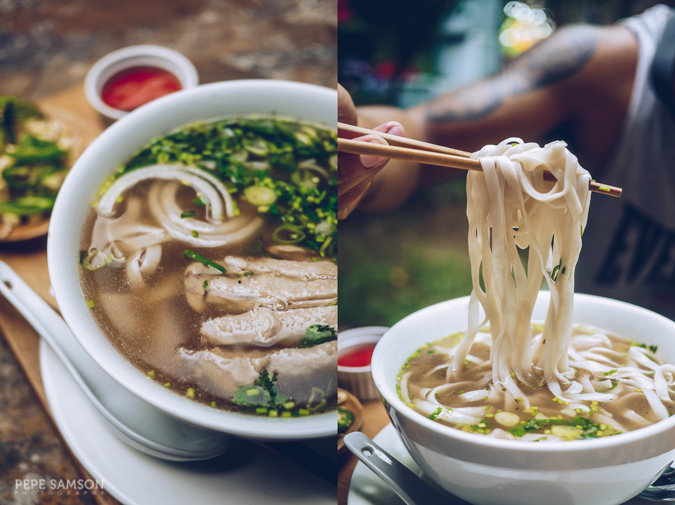 I need some Vietnamese coffee and pho and I need them—now. Of course, one must not leave The Coffee Library without trying its Vietnamese offerings, so in spite of the excessive heat I got myself the Pho Ga (PhP150)—chicken noodle soup with cilantro, spring onions, bean sprouts, and chicken slices, served with Sriracha and Hoisin sauces on the side. It tasted just like how I remembered it, although the soup is clear (Hanoi-style) and not murky like the ones I tried anywhere else (because of more seasoning, herbs, or sometimes from the chicken being grilled). Nonetheless, the flavor was comforting and familiar. I also ordered the Greek Salad (PhP120), always a guaranteed crowd pleaser. 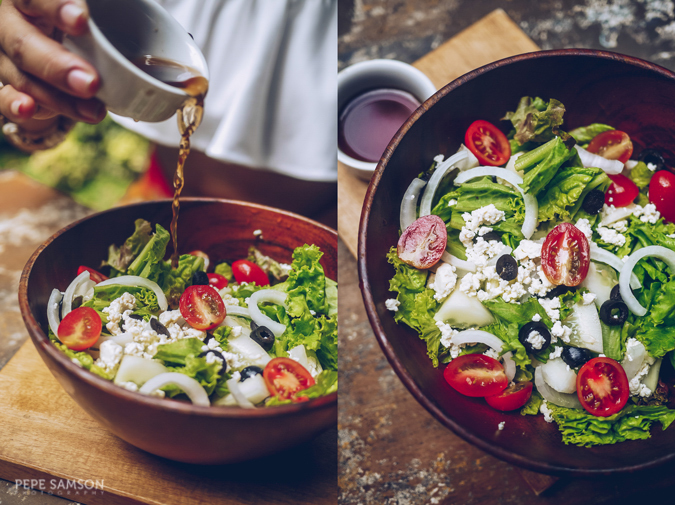 It’s a pretty simple salad with lettuce, tomatoes, onions, black olives, and vinaigrette, but it’s the feta cheese that makes it one of my favorite salads ever. 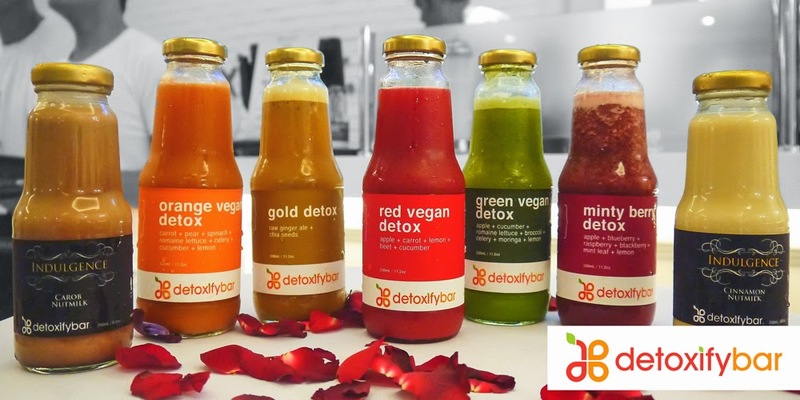 This was light and refreshing. 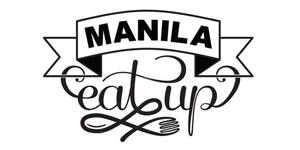 Craving for local flavors? 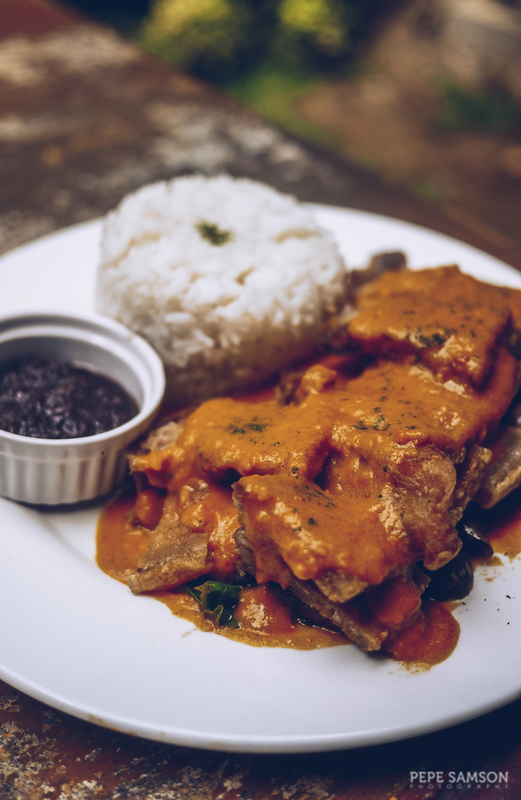 The Crispy Pork Kare-Kare (PhP250) is a must-try: huge chunks of pork smothered in peanut sauce, served on a bed of vegetables with some homemade bagoong alamang (sauteed shrimp paste) and steamed rice. 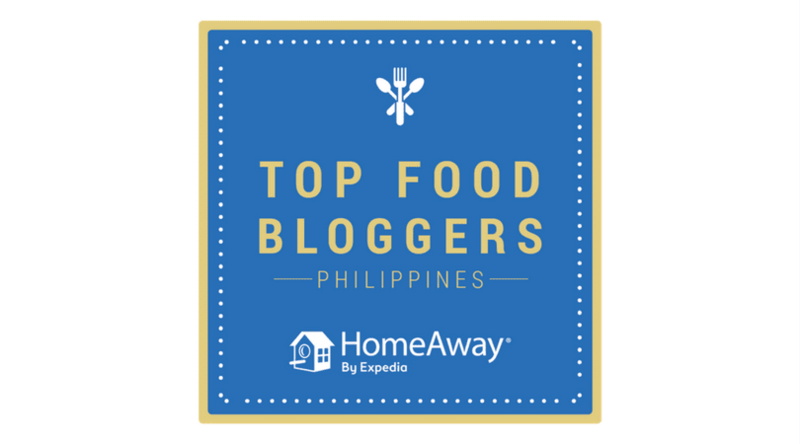 The kare-kare is so good, the portion very generous—although admittedly, I prefer saltier bagoong in my kare-kare. The Beef Salpicao (PhP220) is another tasty option, with tender cubes of beef cooked in garlic and olive oil. Its savory goodness just demands spoonful after spoonful of rice—and some ice cold beer perhaps? 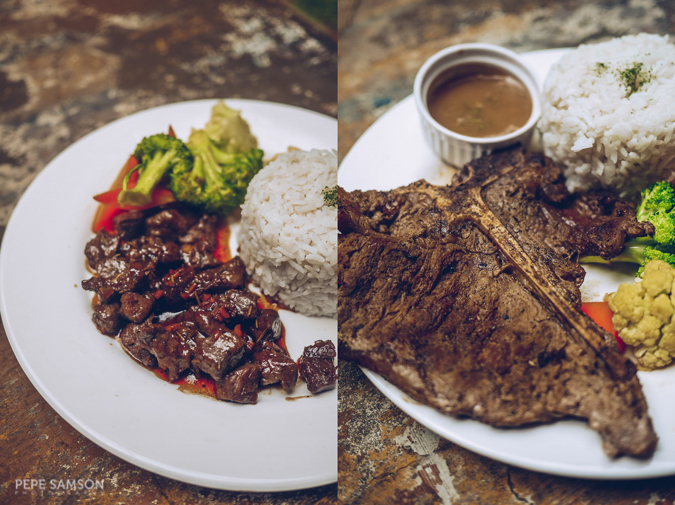 For something man-sized, get the Porterhouse Steak (PhP350), which is guaranteed to make you full and satisfied. 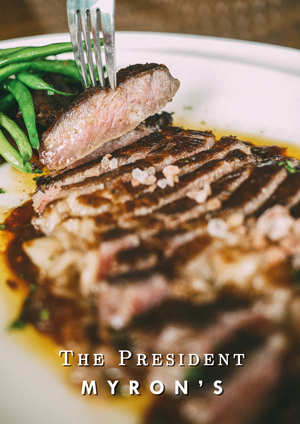 It has tenderloin and top loin cuts—usually I prefer rib eye over these but for a steak of this price and size, it was very good. Of course, the coffee is the star here, so we couldn’t leave without getting our much-needed caffeine fix. After our satisfying meal, we hung out some more in their cozy restaurant. I got myself the Egg Coffee (PhP100)—one of the strongest (and best) drinks I’ve tried recently. This is very popular in Hanoi—a concoction of egg yolks, coffee (Robusta), sugar, and egg cream (made by beating the egg yolks). It’s pretty strong so if you’re not used to drinking coffee, please be warned. I, however, love it—each sip is composed of the creamy taste of the egg foam, followed a sharp rush from the coffee. 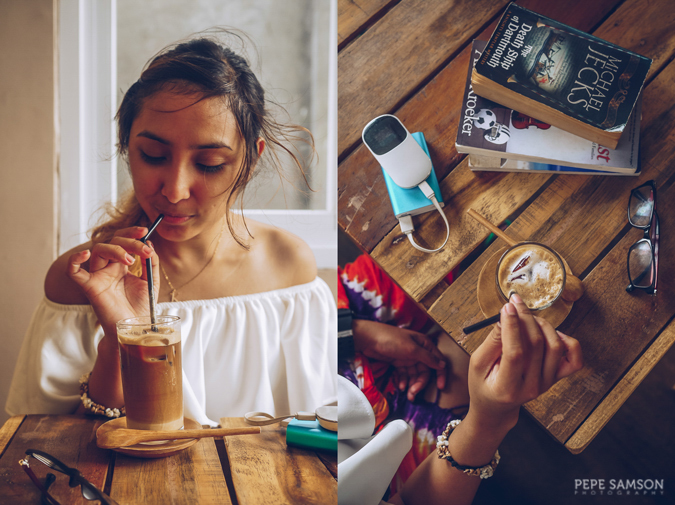 I convinced my friends to try the Ca Phe Sua Chua (PhP95), which is Vietnamese coffee with condensed milk and yogurt. I love the added acidity and thickness from the yogurt—definitely a must-order in The Coffee Library! 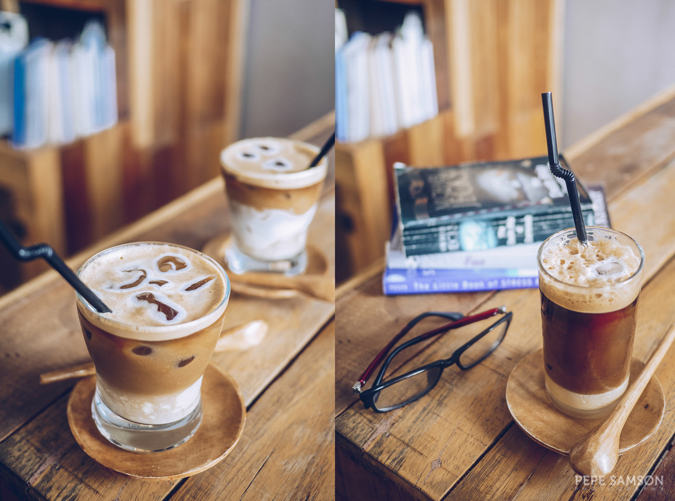 However, if you like it a little more “classic”, get the Ca Phe Sua Da (PhP85), which is simply coffee and milk with ice, or the plain black coffee, served in a single-cup drip filter. Aside from Vietnamese coffee, The Coffee Library also serves Italian, Turkish, and Filipino brews—and guests will surely find one favorite. I couldn’t wait to come back and try more of their offerings, including food items like banh mi sandwiches, pastas, and their new pizzas. 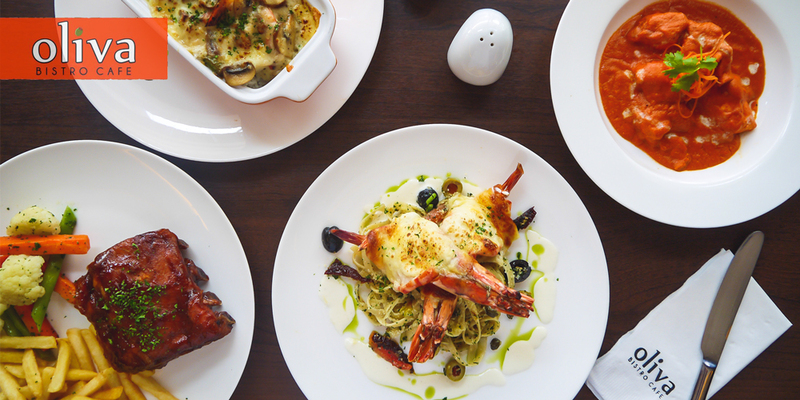 The restaurant is definitely a must-visit when in La Union, and judging from the fact that it’s always jampacked, it seems like a hit among locals too. 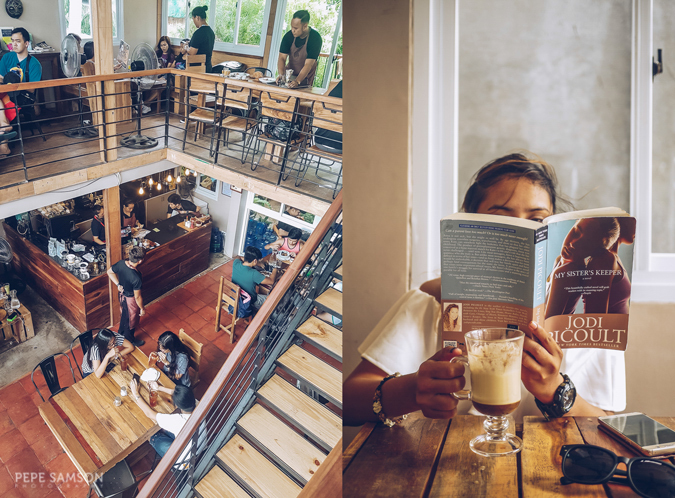 Relaxing and cheery with satisfying offerings, The Coffee Library will be your new favorite dining and hangout spot in surf town. Do you love coffee? 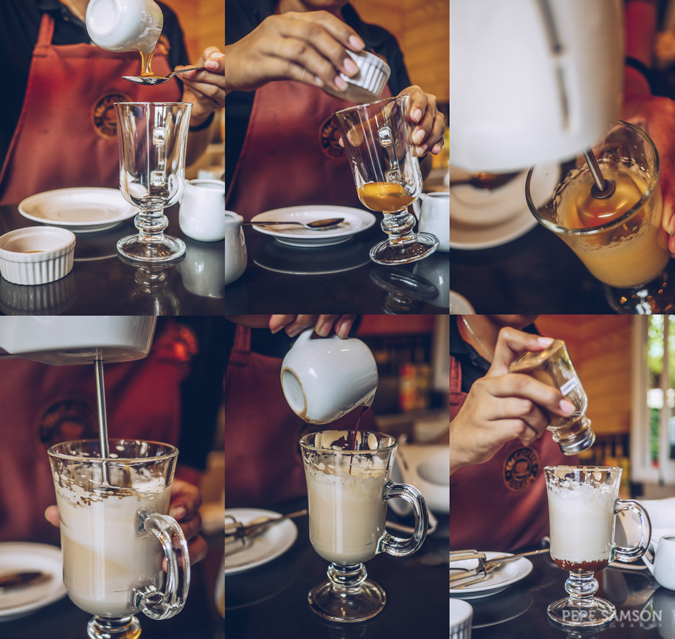 What do you think of Vietnamese coffee? Of Vietnamese food? 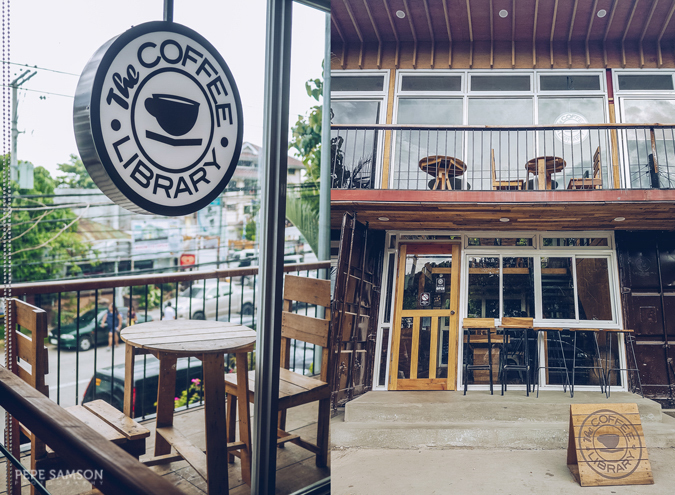 Have you been to The Coffee Library?